As more and more people come into presence and awaken from the madness of the mind, the human race will begin to understand its true relationship with the cosmos. At present, this human future is obscured behind the shadows of billions of minds struggling for control and power in the world. But imagine a world in which many or all of the human beings are able to access presence at will, who are able to see through the delusions of mind and the delusion of separation. This would indeed be a glorious future. It is time to bring spirituality down from Paradise, down from the head, down from the clouds and into the world. We are the spiritual. Spirituality is us. All that is of the world is of the spiritual. Not simply that which we wish to embrace, even as we reject the rest. Any philosophy or teaching which perpetuates that delusion that spirituality is separate from the world is part of the problem, not part of the solution. Embrace the world and its people. Do not set yourself up against them. Dance, sing and rejoice. Be in the world and of it, but do not believe its stories (including those told in the media). Many of the world’s great ills stem from the separation of mind from body, mind from feeling, mind from cosmos. Once presence is established the guns and cannons will fall into silence, the hopeless cries of babies born into war zones will fall quiet, and the angst of women falling to rapacious, unbalanced male power will end. Yes, it’s a utopian future, and it may never exist in perfection. Yet this is a question also of degree. Can we create a future where most human beings are mindful and present? At peace? I believe the answer is yes. Peace in the world will follow when there is peace in people’s hearts. The greatest gift you can give the world in your short time upon this planet is your surrender to all that is. Paradoxically, you will be most remarkable, most special, when you release the need to be special; when you let go of the desire to have your story writ large upon the fabric of the world. Your mind will fall into silence when you are present, and when your thoughts are aligned with what is. When this happens your light will shine upon the world, and you will be part of the healing of humanity. When your spirit is healed, that healing traverses space and time, spanning past, present and future. It heals your inner child who is crying out for your help, your love and our attention. Your peace creates healing in your family. It creates healing for your soul group. It creates healing for your ancestors, whose collective thoughts and deeds trail behind you in time and space. And it creates significant healing for your people, your culture and your race. Most of all, you will come into your power as a human being. That power is founded in the magnificent love that exists within your soul. It is beyond time and space. It is even beyond the requirement to take action. Indeed, once that healing has taken place, your actions will flow seamlessly and in sympathy with the cosmos, and not against it. I am not talking about a social covenant, nor a political ideology. I am not even talking about spiritual organization. This is an agreement between you and the cosmos. The social, the political and the organisational will tend to align naturally once enough people are present enough to embody the wisdom of spirit. In a sense it doesn’t matter what philosophy or ideology you believe in, as long as you don’t believe that belief is real. Each of us must learn to champion ourselves by mastering ourselves. It is surely hoped that our societies and cultures support such empowerment – although it has to be said many currently do not. Yet, if you are reading this book, you already have enough knowledge and understanding to begin the soul champion’s journey: the journey into now, as Leonard Jacobson calls it. Hopefully, also, there are like-minded others whom you can connect with personally or on the Internet. While it is true that your awakening is something between you and God, having others about you with whom to share the journey of presence is a wonderful thing. The invitation is there. What are you waiting for? Marcus T Anthony (PhD) is a futurist of the human mind, writer and spiritual adviser. His web site is www.mind-futures.com. The following is an extract from his new book, Champion of the Soul. If you would like to learn more about becoming a Champion of the Soul, click on the link. Are you a Master of the Intuitive Mind? 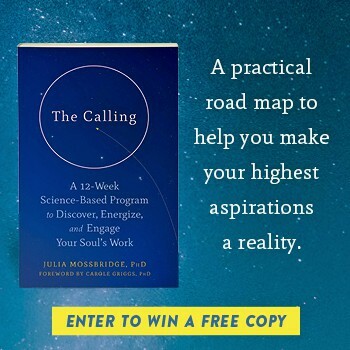 Do You Really Have a Soul Calling? Is Austerity a Natural Consequence Of Our Spiritual Evolution?